© Adrienne Petrosini. All rights reserved. I had to do a triple take when I saw this little pooch standing on the roof of a car in a Walmart parking lot. 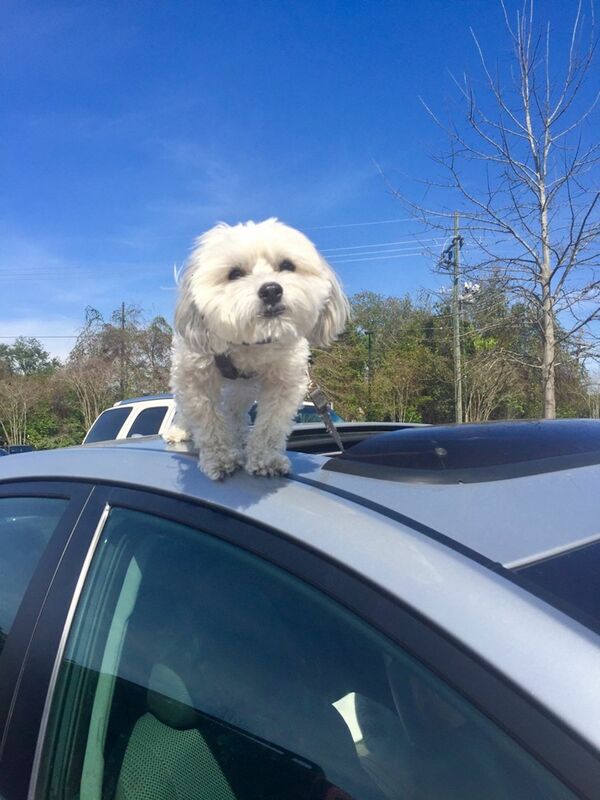 The owner explained that the pup would rather wait on the sunroof than in the car for his master.